LaBell Exchange provides superior phone answering services for Southern California attorneys specializing in criminal defense, worker's comp, personal injury, motor accidents, class action lawsuits, and more. In these fields, we know that potential clients often call attorneys while in a highly stressful situation where time and availability is of the essence. When a potential client calls from jail after an arrest, for example, he can't afford to wait to hear back if the attorney doesn't answer his call; he'll simply call the next attorney on the list. 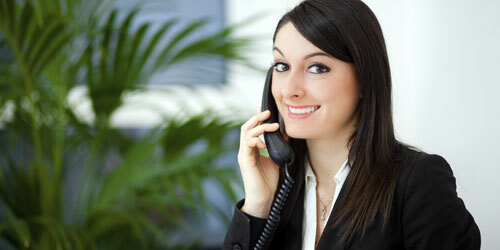 That's why at LaBell Exchange we offer highly responsive phone answering services 24 hours a day. As part of our standard service, your callers can expect to reach a live operator within the first three rings and receive personalized service based your preferred protocol. Our operators can be instructed to accept or decline collect calls, screen calls, collect client information, connect the client directly to the attorney, follow a custom script to meet your particular legal practice's needs, and more. We have both English and Spanish speaking operators, as well as access to a 24/7 language line for clients that require translation services. Furthermore, because we understand the importance of client confidentiality, all of our phone operators have been carefully screened and sign agreements to not disclose any information they learn on the job. Call today for a free consultation. LaBell Exchange is a family-owned corporation with more than 35 years of experience. We stay up-to-date on all the latest call center technology and invest an extensive amount of time and energy training and monitoring our operators to ensure the highest quality service. Our call center services have earned the Award of Excellence from ATSI (the Association of TeleServices International) for seven years in a row and are very reasonably priced.